Plus pension. 12 hours per week. The Homeless Navigator Project seeks to address a visible problem with rough sleeping in Edinburgh. The project offers assistance to people who are experiencing homelessness and cannot, for whatever reason, make use of the current support services that exist in Edinburgh. This is an additional role to increase the capacity of our existing team. The post holder will be responsible for forming supportive relationships with individuals via street-based outreach and providing advice. The post holder will be required to deliver the service in a street-based setting, moving between service users on foot as part of a 2-3 hour planned route through central Edinburgh. 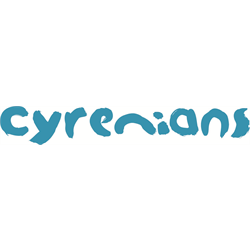 You should have a good knowledge of local services and their access criteria, enabling you to provide good quality advice, ideally with experience of delivering street based work in Edinburgh. You should also have strong interpersonal skills and the ability to demonstrate Cyrenians values of compassion, respect, integrity and innovation in the work that you do. 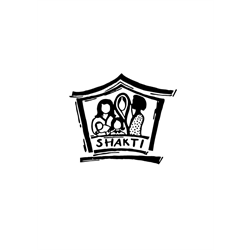 Shakti is a feminist voluntary organisation which offers information, emotional/ practical support and refuge/ temporary accommodation to all black minority ethnic women and their children who are experiencing or fleeing domestic abuse. Shakti provides a non-judgemental service to its clients. The post holder will support black minority ethnic women and their children to resettle into their move-on accommodation. Applicants must have a minimum of 2 years’ experience of working with black minority ethnic communities, especially women and children; an understanding of the legislative and cultural issues surrounding domestic abuse, honor based violence such as forced marriage and female genital mutilation, and their effects on black minority ethnic women, their children, and young people. Applicants must have a minimum of SVQ Level III in Social Care or relevant qualification such as degree in Social Work or Community Education. The post is subject to enhanced disclosure. The applicant must be a bilingual speaker in Hindi and/ or Urdu and/ or Punjabi. Applicants must hold a clean driving license. Post involves unsocial hours including evenings and weekends. This post is subject to enhanced disclosure checks. The post holder will support black minority ethnic women, their children (if any), and young people who are experiencing and/ or fleeing domestic abuse due to their sexuality and/ or gender identity. Applicants must have a minimum of 2 years’ experience of working with black minority ethnic (BME) communities. Good knowledge and understanding of equalities issues and the issues affecting BME and/ or LGBTI women, children, and young people; understanding of the legislative and cultural issues surrounding domestic abuse, honor based violence such as forced marriage and female genital mutilation, and their effects on black minority ethnic women, their children, and young people. Applicants must have a minimum of SVQ Level III in Social Care or relevant qualification such as degree in Social Work or Community Education. Applicants must be a bilingual speaker in a BME community language such as Hindi, Urdu, Punjabi, Bengali, or Arabic. Applicants must hold a clean driving license. Post involves unsocial hours including evenings and weekends. This post is subject to enhanced disclosure checks.